Get Off to the Right Foot in Mexico City with the Shoe Museum! Every major city has its quirky, offbeat attractions. Mexico City is no exception. While it’s easy to fill your days visiting mainstream museums, landmarks and other attractions, it’s always nice to sprinkle in a few unusual places as well. The Museo del Zapato, or Shoe Museum, is a prime example. As incredible as it may seem, this museum is solely dedicated to shoes – pun intended, of course. It’s not that big, so calling it a museum is a bit of a stretch. In spite of that, it’s a worthwhile place to visit. Like just about anyplace else in Mexico City, you shouldn’t try to drive over to the Museo del Zapato. Even with the best Mexico auto insurance policy by Mexican Insurance Store, you will have to go through a lot of grief. You just need best Mexico auto insurance policy if you drive your own vehicle. Instead, use public transportation or take a cab. The museum is located on Bolivar Street between Fco. Madero and 16 de Septiembre streets. The easiest way to spot it is by looking for the El Burcegui shoe store, which is actually the sponsor of the museum. You can’t miss it. Shoes: What’s the Big Deal? At the Museo del Zapato, you’ll find more than just a few examples of different shoe styles. This place actually has historical and culturally significant footwear. Examples of shoes from different eras and different parts of the world are on display. The selection is a little sporadic though, so don’t be disappointed if your favorite country isn’t represented. Shoes from Mexican celebrities and athletes are also on display. The majority of them are from Mexican football, or soccer, stars. When you’re done, head back home. When you continue on your Mexico road trip, make sure your Mexican insurance policy is still valid. 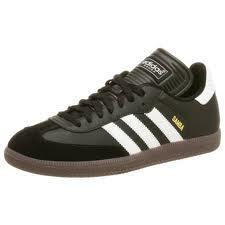 Sambas at the Shoe Museum in Mexico City GOAL!! Museo del Zapato is a nice museum and it was fun to look at a lot of shoe designs coming from all over the world. I was there with my family for a week and I drove around town a lot. I didn’t worry a bit as my car was protected by Mexican car insurance. Next post: The Best Things about Enjoying a Road Trip through Mexico!